Yesterday I read aloud the book Santa Clauses to my students. 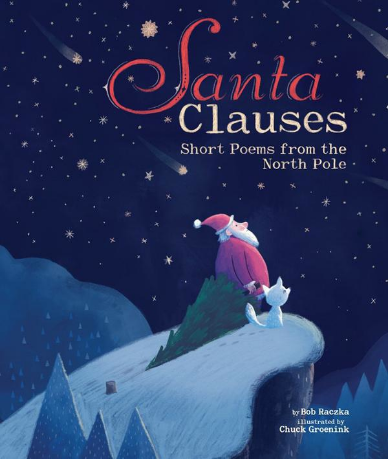 Written by Bob Raczka and illustrated by Chuck Groenink, Santa Clauses is a book of haiku for every day in December up to Christmas Day. I am participating in #haikuforhope along with others on Twitter. My poem today was made in Word Swag from an Instagram photo from my friend Jen Gray.